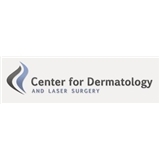 Center for Dermatology and Laser Surgery (Portland) - Book Appointment Online! Our Board-Certified Dermatologists are dedicated to providing and promoting accurate and compassionate Dermatology care and cutting-edge treatments for our patients. In caring for your skin and your well-being, our specialized team of skin-care professionals offer broad and effective services for the evaluation and treatment of rashes to skin cancer. Dr. Gasch's practice provides a concierge level of care that most overlook. In addition, his bedside banner is outstanding. As a woman in my mid-40's, he addressed aging issues and preventative measures that put my mind at ease. We all know that we don't wan't to age prematurely, but we don't want to risk removing moles, etc., that should be cultured. I look forward to seeing Dr. Gasch annually for medical evaluation and quarterly for anti-aging treatments that will help me maintain my youthful appearance. Thanks, Dr. Gasch, for raising the bar for the level of care we should expect. You are succeeding!